Softball bats have experienced a highly rapid change in the past 10 years. This brings a hiccup when selecting the best of the many bats in the market. In this edition, we ventured to rank the four of the best bats. In our ranking we considered the general feel from most customers of the bat, its durability and the cost as the main aspects in ranking. Also, we specified the best technique for each bat (Fast-pitch/slow-pitch) and the suited age of use. Read through to determine the best ASA softball bats to go for next time you visit a bats vendor. For adult lovers of slow pitch softball, the new Easton Composite ASA 12-inch softball bat is likely to become this year’s softball batting idol. With a 12-inches length and a break-in period of just 50 hits; no doubt the Easton Composite 12’ bat is all one needs to take slow pitch to a different level. Base loaded and suited for maximum power. 29/32-inched handle with a covering for gripping. An SIC carbon fabricated handle to minimize vibrations. A short break-in period: it requires a relatively shorter break-in period of just 50 hits to achieve its maximum capabilities. Pricing: priced around $99.95 – $249.95 in Amazon, this bat performs just above the bat’s pricing. Durability: about 7 in every 10 people who bought it gave it thumbs on its durability. Being manufactured by composite also means it can sustain pressure and humid conditions when stored. No wonder it has a 1 year warranty. Though 77 percent of buyers were ecstatic about the purchase of this bat, the following were some of its drawbacks. A thin handle: though the handle serves great, it has been marked to be a little too slim for some players. The heavy base: though the loaded base was such a great advancement, it may not work well for fast-pitch players. Hence, it can only work perfectly in slow pitch. On a scale of 10, the Easton Composite ASA 12-inch softball bat deserves a 7.9. It works best for slow pitching in youth softball. It is surely recommended when working on a tight budget. 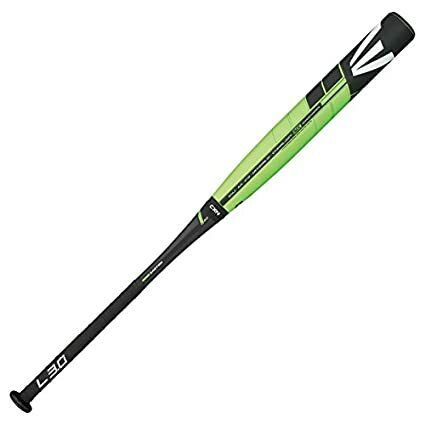 If the designs need to meet with performance for a bat in fast-pitch youth/adult softball; the FP15MK10 MAKO Easton bat will obviously never miss in such a list. It has a -10 length to weight ratio and is extremely light in weight. 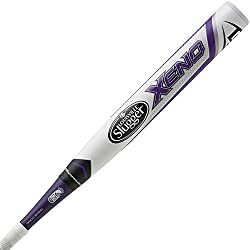 This makes it one of the best bats in the market currently for fast-pitch softball. Short break-in period: the bat has a groovy pop almost immediately it leaves the wrapper. This makes it quality is great for any training or advanced player. It is lighter: the FP15MK10 MAKO Easton bat does not hit, it flies. This is what enables it become much preferable for fast-pitch softball. Variety: the bats come in a wider variety 20 oz, 21 oz, 22 oz, 23 oz and 24 oz. As such catering for a wider variety of its users. Pricing: the FP15MK10 MAKO Easton bat price tag reads anything between $149.95 and $349.99. That price could prove a hiccup to one who works on a fixed budget. Based on both personal experience and Customer reviews about this bat, it surely deserves a grade 83% quality performance in softball. It is surely something worth buying when you got the cash. 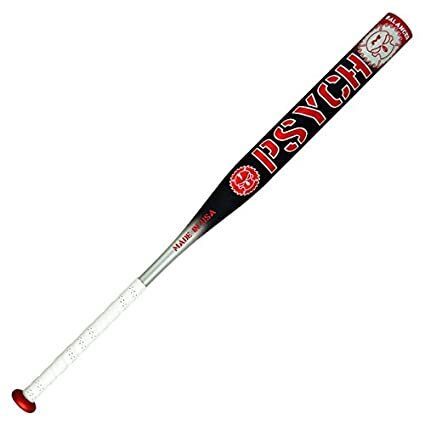 The Miken Psycho ASA softball bat could best be classified as the current market’s best softball bat in soft-pitch. Among its many features, it has a 100 COMP certification which ascertains its carbon durability and a wide barrel (2.25’) that ensures maximum performance when playing. A killer design: the colors, the design and the ability of Miken Psycho ASA softball bat are absolutely mouthwatering. This bat has a magical work of art that can encourage any player to keep playing. Durability: The fact that it is 100 COMP certified means it is composed of aerospace grade carbon fiber which enables it to perform longer than most bats. Either, it also comes with a 12-month warranty. A wide and loaded barrel: Miken Psycho ASA softball bat has a weight of about 3lbs and is long enough to work in slow-pitch softball. Variety: the bats also have wider variety for players to choose from based on preference. It has break-in duration of about 50 hits. Though it is really quite negligible, it may be a challenge to most beginners. Weighing a staggering 3 pounds is likely to tire one unless one becomes used to it. Among slow-pitch softball bats, this bat is undoubtedly the market’s “big boy”. Based on sales, performance and user experience; the Miken Psycho ASA softball bat deserves a 95% grading among slow-pitch bats. It is best suited for adult players. The DeMarini Bustos WTDXBFP version 2014 bat is not only the most popular but also the best bat in our list of bats: the king of fast-pitch bats. This amazing bat combines an awesome design with both performance and an incredible design. The WTDXBFP bat has been valued to be the very best bat that softball batters who engage in fast-pitch should engage. Fiber Reinforced Composite (FRC) handle. A 2-piece Hybrid Comfort grip. 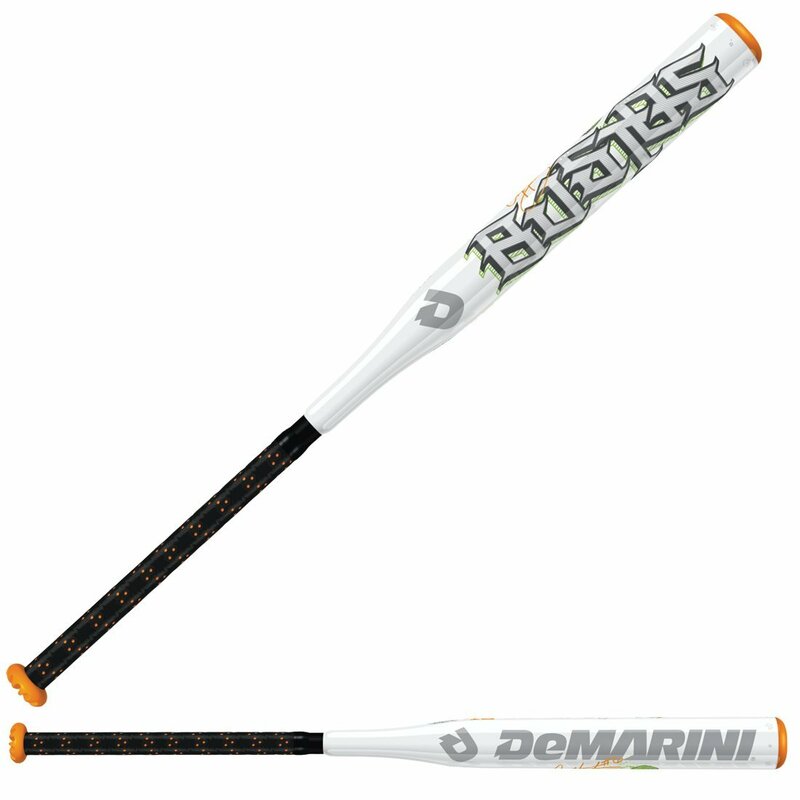 No break-in period required: since it is made with aluminum, the DeMarini Bustos WTDXBFP version 2014 has a great pop immediately after being unleashed from the wrapper. Awesome pricing: when considering the capability of this bat, one may be forced to believe that it is a little “underpriced”. With a staggering $105, one could be able to grasp the bat. It is light: fast-pitch softball loves easy-to-carry bats. The DeMarini Bustos WTDXBFP version 2014 serves this perfectly. Durability: since the bat is made with aluminum, it has a relatively higher durability than purely composite bats. Length: since the bats are suited for youth fast-pitch softball, their length sis a little longer for some players. Otherwise, the bat is really legendary. Nine in every ten buyers of the bat were greatly pleased with the bat. Being among the highest in sales is also a proof of trust and evidence of epic performance. The bat is however recommended for young or novice players to fast-pitch softball. In my opinion, DeMarini Bustos WTDXBFP is one of the best ASA softball bats I highly recommend you to buy. All the four best ASA Softball Bats listed above are all equally great bats. Though with different pricing, material, and features; surely, they all have a groovy pop when used. The Easton Composite ASA 12-inch and the Miken Psycho ASA softball bats are best preferred for buyers who loves slow-pitch softball. The FP15MK10 MAKO Easton and the DeMarini Bustos WTDXBFP are the best when going for fast-pitch softball. It is also recommended that one opts for the cheapest like the Easton Composite ASA 12-inch bat and the DeMarini Bustos WTDXBFP bat when buying for a novice or when working on a tight budget. If you’re a choosy person, you may need to read more articles about the best softball bats. Before paying anything, we know that we should consider so much. That’s why we write every clearly for you to know more softball bat reviews.